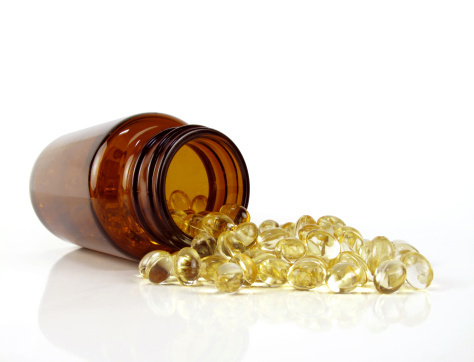 Home » Food and Nutrition » Vitamins » Do You Really Need Vitamin D Supplements? There has been a great deal of information published in the media regarding the use of vitamin D and the risk of developing diseases like osteoporosis, cancer, and heart disease. The question still remains, however, whether we need to take vitamin D supplements to reduce the risk of disease. Researchers conducted a meta-analysis study, where they pooled the results of various studies and collectively analyzed these results. The analysis included 23 different studies which involved 4,082 women (92% female) who had an average age of 59. The researchers measured the blood concentrations of vitamin D, bone mineral content of various sites, and the average daily dosages of vitamin D taken by the subjects. The study, published in The Lancet, found there was a small benefit of vitamin D supplementation on bone density in the hip but not in the spine, forearm, or total body. Although this study is rather interesting with the references it makes to vitamin D supplementation and bone mineral density, there are a few problems with it. Firstly, the dosage range of vitamin D supplementation that was used by the subjects varied greatly between studies—in at least 10 studies the subjects used a daily dosage of 800 IU or less. This is a problem because if the dosage of vitamin D was not adequate, there would be much less influence upon bone mineral density. Secondly, the researchers only measured bone mineral density and not fracture risk. The effects on vitamin D and fracture risk are not the same as the effects of vitamin D and bone mineral density. Thirdly, the researchers measured a concept which can be misleading at best. For example, vitamin D influences the blood levels of calcium by affecting its absorption from the gut and influencing its excretion from the kidney. It would have made much more sense if the researchers had studied the effects of calcium and vitamin D on fracture risks because these nutrients work in tandem and not separately to affect bone metabolism. As previously reported in the scientific literature, vitamin D and calcium supplements can positively affect the risk of fracture. Fourthly, the average age of the subjects was 59 years of age. Although these subjects were older female white adults and their risk for fracture was higher, in comparison, women over the age of 70 have a much higher fracture risk. Vitamin D is relatively scarce in our food supply as the best sources remain oily fish and fish liver oils. The recommended amounts necessary for good health range from 600-800 IU per day (ages 51 to 70). White females over the age of 65 are much more likely to have a vitamin D deficiency (because of less time spent outdoors or inadequate vitamin D intake). Older adults suffering from gastro-intestinal disease, mal-absorption or chronic medication use are also at greater risk of developing a vitamin D deficiency. It’s also very likely that the same group of people would have issues with the amounts of necessary calcium required to maintain strong bones. This is exactly the case when seniors are not able to get adequate amounts of calcium from their diet. Even in people who have normal calcium intakes, if there is an inadequate amount of vitamin D being ingested through the diet, the effects of calcium on bone density and subsequent fracture risk will be minimized. Hand, L.,“Vitamin D Supplements: Little Bone Benefit, Analysis Shows,” Medscapewebsite. Reid, I., et al.,“Effects of vitamin D supplements on bone mineral density: a systematic review and meta-analysis,”The Lancet. October 11, 2013. “Vitamin D,” Office of Dietary Supplements website; http://ods.od.nih.gov/factsheets/VitaminD-HealthProfessional/, last accessed, October 15, 2013.